This is copied from Etisalat Nigeria official site. 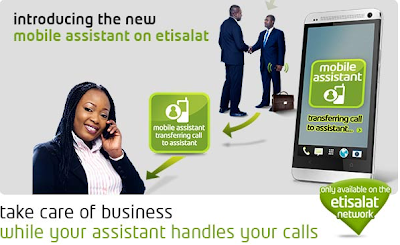 Mobile Assistant is another innovative service from Etisalat Nigeria. 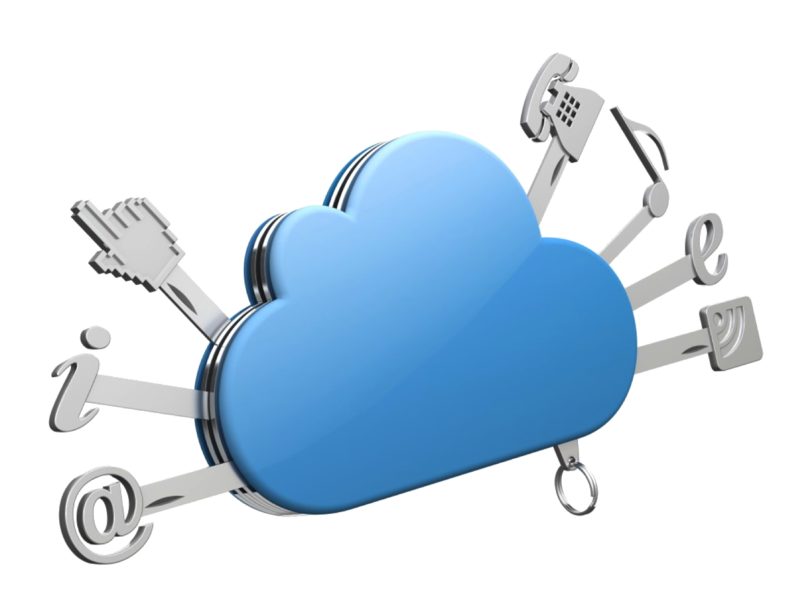 It provides valuable benefits to Executives, SMEs, HNIs, etc, so their mobile handset now offers greater utility. This service enables a user - in this case referred to as an Executive - to pair another number (referred to as the Assistant) such that when the Executive number is called it rings on both the Executive and the Assistant MSISDN. In the simplest scenario, when the executive’s phone rings, so does the assistant’s. 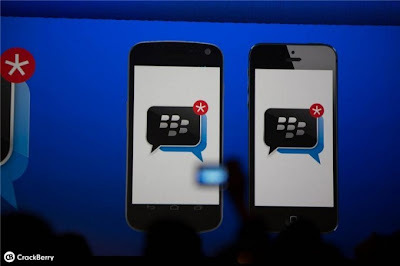 When either the Executive or the Assistant receives a call using Mobile Assistant, they are able to speak to each other and transfer the call simply by pressing the star key. 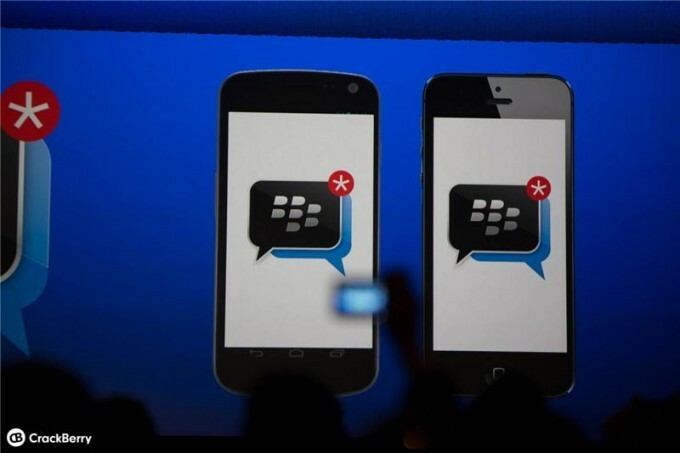 The Mobile Assistant is a network service and works regardless of mobile phone sophistication. 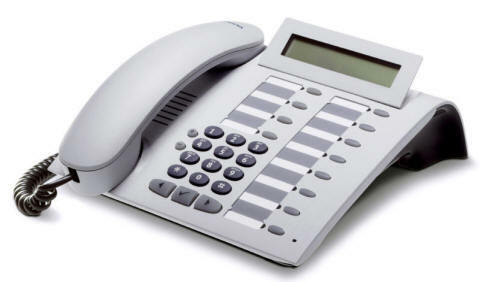 If the executive has the phone switched off or out of coverage, the assistant’s will still ring. This is one of my community service posts, to help spread useful information. This information is copied from MTN official site. 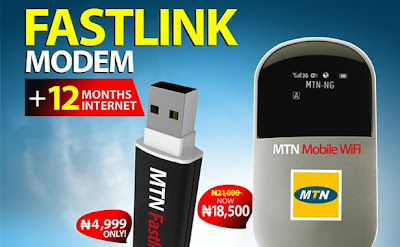 What is MTN SmoothTalk Plus? 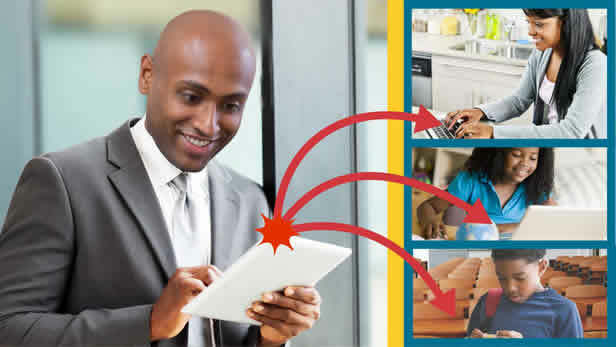 MTN SmoothTalk Plus is a special tariff plan that now allows you enjoy a FLAT rate of 15 kobo per second for calls ACROSS ALL local Networks after the first minute of the day at 40 kobo per second. 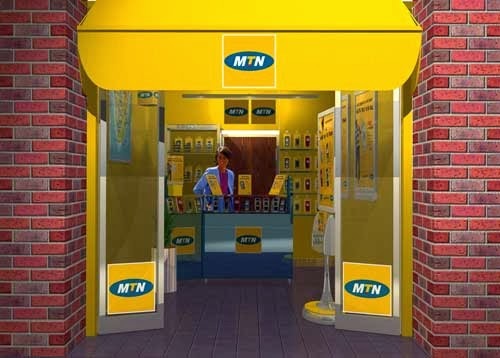 The new MTN SmoothTalk Plus tariff plan does not feature a daily or monthly subscription fee. To Migrate to MTN SmoothTalk Plus, dial *401# or send 401 to 131. 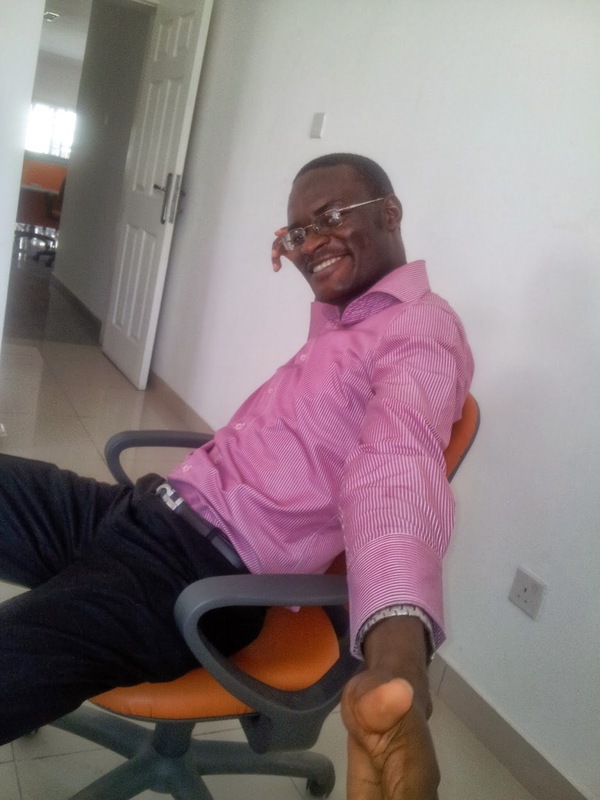 "Welcome to a NEW world of unrestrained, unlimited access to every GSM user in Nigeria"
In this post, I'll show you how to hide and unhide rows and columns in Excel. Every Excel user someday will get a worksheet that has some rows or columns hidden, and just wait till you get one without being told that there are hidden rows or columns in it. Using one of my friends' favorite quote - You will sweat like Christmas goat! A working knowledge of how to hide and unhide rows and columns with save you a lot of hassle someday. It will help you troubleshoot better when formulas don't work as expected (especially lookup formulas) and when copy and paste goes bizarre. Well, so much for the preamble, now to the main content. Today's post is a very special one. I'll teach you the foolproof way to avoid scams. A scam is a fraud, a scheme that takes the little you have and gives you only empty promises. And it's not only strange looking people that attempt to scam us. Our friends and families sometimes scam us. They use empty promises and sweet words to take from us, without the intention of paying back. How do you identify a scam? This is the trickiest part. Trickier than avoiding the scam. Now you might say, isn't identifying scam same as avoiding scam? Who would know something is a scam and still commit to it? I'm afraid you're wrong. On several occasions, I have known a thing is a scam and I still committed to it. And they were all scams from close family members. They ask you for a thing you know they won't give back, they swear by heaven and earth that they'll give it back, but you know they won't. Yet you'll give them. The trouble you get for not giving will be way more than the one you get for not getting it back. Back to - How do you identify a scam? There is a sandwich approach to identifying scams. A sandwich is made up of two pieces of bread with a delicious filling in between them. All opportunities and transactions are like a sandwich. There is always the unattractive and boring pieces of bread and a thin slice of attractive filling. What gives away a scammer is that he hardly talks about the pieces of bread, he keeps yammering about the filling as if that's all to it. That's the big red alert signal. If a person keeps focusing on what I'll gain by giving, I try to end the discussion. If I could gain so much and he is that cocksure, he should do the giving. There are several micro-finance banks that will be willing to listen to him. The less subtle one is if the scammer is playing the big guy, like he could do without my resources and that he is the one doing me a favour. This is the real tricky one. And you can't always successfully detect it, but I'll show you the trick that will make you almost never encounter it. The trick is for you to have your own life goals, plans you're working towards. Stick to your area of competence when it comes to money matters. Use your comparative advantage always, or get a trusted friend who has to act on your behalf. It will reduce the risk of you becoming interested in stuffs you are not too knowledgeable about. These subtle scams feed on your ignorance. It's just like going shopping at Idumota, no matter how great your analysis and negotiation skills, if you don't have any prior knowledge of the price, you'll definitely be scammed. Now it's time for you to share. This is the section where options/means are endless. My favorite method is to tell the scammer than I'll think about it. And I then cut off communication with him. 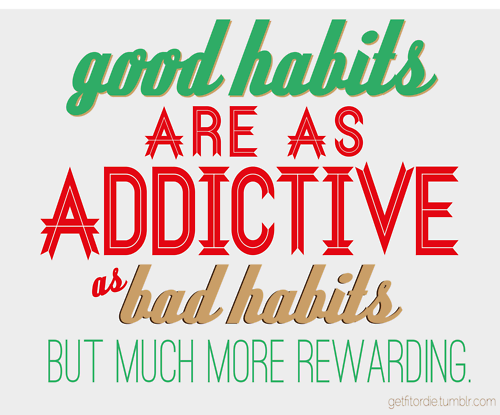 Today I will share with you the trick I have been using for years now to acquire habits I want, good habits that I desire. I has never failed me once. I break the habit into actions and do them regularly for 90 days. But when I say regularly, it might be daily or thrice a week or once a week. But never less frequent than once a week. Regardless of the schedule I pick, it always works. What skills have I used it to acquire? In 2011, I decided to form the habit of regular exercise. I broke it down to actions I could take daily. Now, here's where many people make the first mistake. Most people will immediately start thinking of a Fitness club to join. Wrong! When acquiring a habit, focus on the core actions that define that habit. Exercise, for instance, is composed of actions that exert your muscles in unusual ways and make you expend lots of energy. And the actions can be lifting weights, doing push-ups, running, swimming or cycling. Tying them to going to a Gym will only give you more trouble. So what I did was to choose the actions that presented the least path of resistance, one that requires no more than an instant determination to do it. After researching online, I picked push-ups. Push-ups are great and exercise nearly all the muscles in the body. It builds up the core muscles in ways no one single other exercise can. I started doing push-ups daily. For the first week, I was enjoying it. I quickly progressed from doing 10 per day to 15 per day. By the third week, it became a chore. Once in a while I skipped it. Then I started bribing myself to do it. Whenever I kept to my regimen for some days without break, I'll celebrate it. After 3 months, it became as easy and regular as taking my bath. Even when I traveled round Nigeria for over two months and was waking in one town only to sleep in another town, I hardly skipped my push-ups. And while I was on my French immersion program in Cotonou, my room-mate couldn't hide his admiration for my consistency. Now I do 30 push-ups at a go, the slow and intense version. I tried the same for my swimming, but I couldn't keep at weekly for 3 months straight. 2. Reading my bible daily. One day in 2005, I decided to begin reading my bible daily. It thought it was going to be easy. I didn't give myself any target beyond just reading a portion of the bible daily. Well, a month later it became the toughest thing I was trying to do. I couldn't believe it. I thought I was under a spiritual attack. I prayed and fasted about reading my bible daily. I never expected that I was going to find it extremely hard. I still ended up skipping days in a row. And there were days I only read a verse of the bible or one of the very short chapters. After some time, I became very consistent at it. It had become a habit. Then I went on to set the target of a chapter a day. Now I read 3 chapters a day, and though I wake up 4:00am every week day and get home between 10pm and 12 midnight, I never miss reading 3 chapters a day. And I do it effortlessly. In 2010, I began brushing my teeth with my left hand. I read online that it's one of the ways I can use my right brain more and develop new abilities, especially music talents as I am tone deaf. At first, it was very awkward to do. I had to hold my left hand with my right hand to brush my teeth. Some days, I'll forget and will have to do it at night. And to prevent my teeth from decaying, after brushing with my left hand, I brush with my right hand. Well now, I never make the mistake of holding the toothbrush in my right hand. I brush so well daily and exclusively with my left hand. And my teeth is white. I also tried writing with my left hand, but couldn't keep it up regularly for 3 months. Those are the most spectacular. I'm currently working on writing an article a day. I have begun and I'm still in my first month. If I keep it up till December, it will become a habit for life. Wanna share your own trick? Feel free! 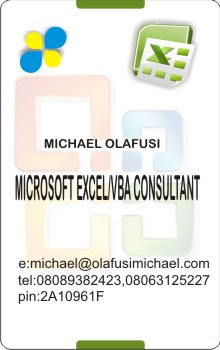 Today is Monday, and to help put you in the work mode I'll be sharing with you all the amazing stuffs I have done using Microsoft Excel. Helped a US stock analyst edit his Excel based stock analysis tool. More like I added an extra functionality to it. The cool thing about this work was that when I tested it, it was pulling stock data from Yahoo Finance and for once I felt like an accomplished stock analyst. I did a Data Visualization chart for a US client. I made it very dynamic and colorful. He was so impressed he got my contact details and promised to send more jobs my way. It's one of my best visualization jobs. Visualization is using charts and graphics to show data trends and insights. This is one of the jobs I won't forget. The client kept adding to the requirements. It was for some UK guy who works in an HR firm. He sent me a database of candidates, they were over 2 million entries, and he wanted me to sift out candidates who have some particular keywords in their profile. He added to the keywords twice and I ended up doing like 3 jobs for the price of one. He paid me extra but it wasn't worth the trouble I went through. The good thing was I got it done to his satisfaction. This is my toughest so far. In the company I work, we once had an issue with our billing software. Customers were requesting for their bills. It was way past month end. Then my boss came up with this great idea, he said, "Michael, you can do this. Just write a macro that will do exactly what the software was doing. Here's the output for last month, you can get the input data from our system." For 1 week I was writing VBA codes non-stop. When I was finally done, the macro was a system resource hog. 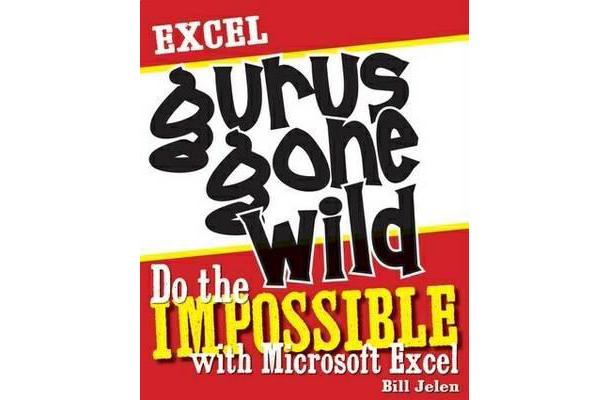 It takes about 30 minutes to run in Microsoft Excel 2007 and about 2 minutes in Microsoft Excel 2010. It was that day I knew there is a huge difference between Office 2007 and Office 2010. This was my first tough one. I had just resumed work at my current company. My boss wanted me to automate several analysis reports. 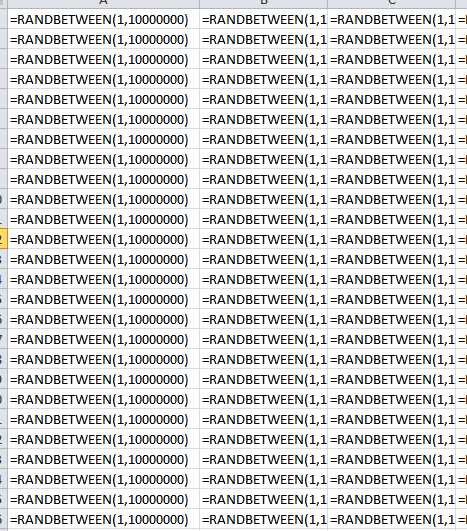 I was given a system dump that is cryptic and has hundreds of thousands of rows of relevant data. 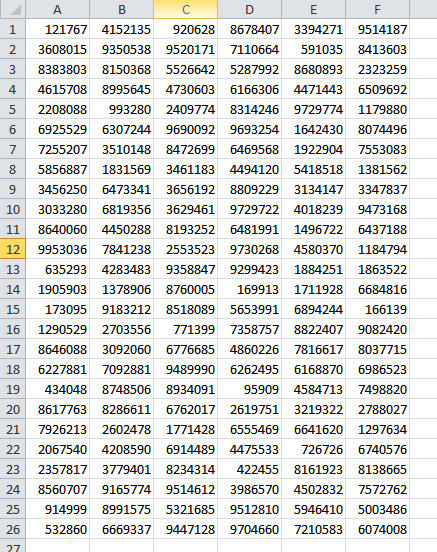 I had to generate a KPI tracker with tables and charts from this text file. Notepad couldn't open the raw file, it was too large. I spent over 2 weeks trying to understand the raw file. When I was done with the macro, I felt like taking a week off. Ever since my guest post on BellaNaija, I have been sending custom made Family Budget worksheet to people. I made a very intelligent year planner for a professional club. It was too good to describe. I smile every time I look at it. This one is funny. 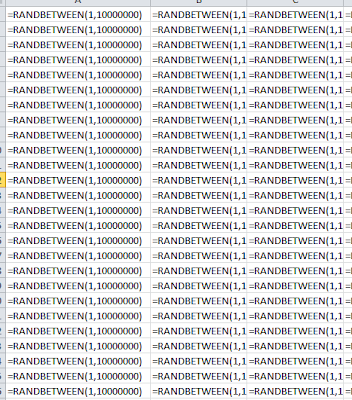 A client wanted a macro to randomly generates unique full names from a set of First Name and Last Name. I did a buggy sample and sent to him. He didn't get back to me. I once made a macro for a client, it fills empty data rows with the content of the next non-empty row. It worked perfectly with few line of codes. I once made a macro for a client to help with pension tracking. 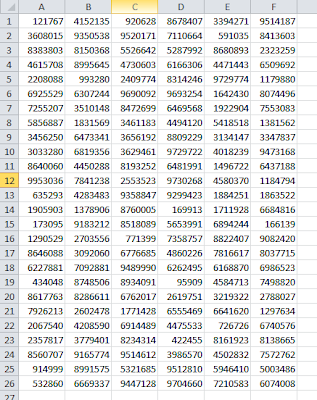 These are the most outstanding of the stuffs I have done in Excel. There are some other ones, but the details are so confidential I might end my career my by posting them. In today's special post, I will show you how to record a macro and use it to repeat a conditional formatting for over 800 rows of data. It's so easy you will find many other innovative ways to use a recorded Macro. You'll be able to do the impossible without really writing codes. I have created a sample data, it's a list of products and the prices from two suppliers. I want a conditional formatting that will indicate the supplier with the least price for each product. And as you can see above, there are 896 products. Here's how to do the conditional formatting. Select the prices of the two Suppliers for a particular product, in this case, the first product. 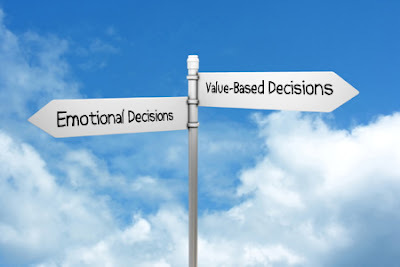 A lot of times we are confronted with the decisions to spend or save. We are almost always carrying out Cost to Benefit Analysis. Is this thing what the money? But in this post I'll be sharing my intensive-thought based approach to making rational money decisions. I always go about with more money than I need in a day. I'm fortunate to not suffer from the common syndrome of spending more when I have more in my wallet.The only syndrome I suffer from is making sure I spend all in my bank account, that's why I budget what I leave in the bank, I avoid having too much in my bank accounts. Read here for full understanding. I buy either 1 shirt or 1 trouser or 1 shoe every month. I never cut down on my feeding expense. Remember the quote, "It's what a bird eats that will sustain it in its flight" (paraphrased). I make sure I eat expensive, because quality food is very expensive. I cut down on my transportation expenses. I exercise daily and eat well (here again) to reduce my frequency of illness. Been seeing remarkable results. I use Airtel Postpaid line. Reduces my monthly phone call expense. I don't go out often. My friends have given up inviting me to events, even their weddings. Not originally a cost saving scheme, it's more of a habit that's beyond me to correct. Coincidentally, it's saving me money. I buy books and read a lot. I'm always willing to exchange money for knowledge/skill. I have 3 paid online sites. I speculate on opportunities with a part of my salary. My wardrobe amazes my sister. "What are you doing with all these body sprays, deodorants...? and this, what is it?" More gist here. I spend my spare time thinking, reading and writing. Saves me a lot of cash. I can't remember the last time I spent on impulse. Ok, I think I do. When I bought my Microsoft Surface RT. I don't read the daily mails from Jumia.com.ng and Dealdey.com I like to need a thing before I buy it. I enjoy the delight of searching for what I need and not the other way round. I don't have an ego. And I'm not kidding. There is nothing you'll say or do that will make me feel little. Saves me from spending to prove a point or save my ego. I don't promise what I don't want to do. And it's really tough to do. I don't care what people think or say. Even they don't care. 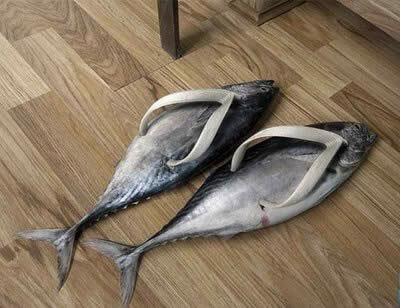 So I don't follow fashion or some new trend. I'm trying to position myself for the financial revolution that will soon happen in Nigeria. I've been reading a lot on finance and accounting. Result: I've been finding it hard to exchange my money for something of less value. And I always consider the Time Value of Money. I close late at work. I go home too tired to notice the merchants on the road. 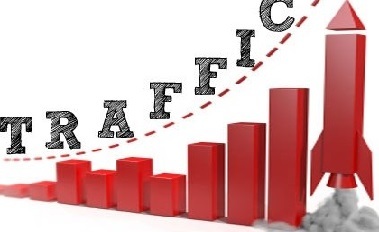 Result: I spend less in traffic. You've just received an Excel report and you want to see all the formula calculations in the report. There is a template your company uses and you've been thinking of recreating the template. In this post I will show you the magic keyboard shortcut that allows you to see all the formulas in an Excel sheet. Press the keyboard combo to return to normal view. Have you ever tried copying all the data on an Excel sheet to a new Excel Sheet and you found out that the color, formatting or some values have changed? That's the trouble with using CTRL + C and CTRL + V (copy and paste). But there is a very reliable means I use to duplicate Excel sheets, it makes the exact copy of the sheet - no color difference, row and column widths are same, and values won't change. It is my preferred means of making copies of a sheet I want to analyse or extracting a sheet I want to send to client/colleague. 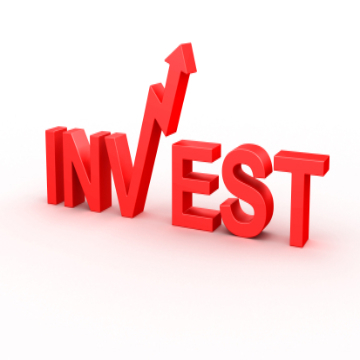 Want to compare the fixed deposit interest rates of Nigerian banks? Or you want to get a particular info from as many banks as possible? This post is for you. I will be sharing with you the contact details of all the major banks in Nigeria. I am at a job interview, a one-on-one interview. I have passed the first stage in flying colors. Inside sources say I have the highest score. My morale is all-time high. Nothing can go wrong. 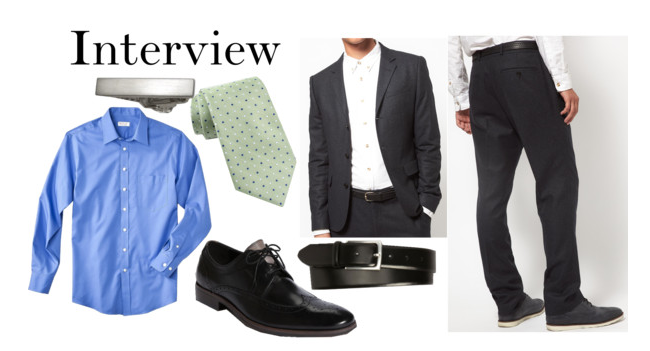 It's my turn with the interviewer, a foreigner. He begins asking me technical questions. He seems satisfied with my answers. He does not question me for long. He tells me I will get a response in a week's time. I stand to leave. Then he says - "Michael, you're very brilliant. I'm not supposed to tell you this, but you're number one on the list. If nothing unusual happens you will be hired. But I want you to take care of your personal hygiene. Get a deodorant. You'll be interacting with clients once in a while. I hope you're not offended. But you're still young and I thought it's best I tell you." Clouds are no longer what you see in the sky. 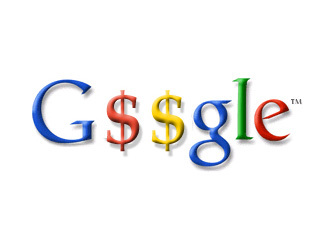 Try googling it. Type Cloud in google searchbox. I'm no slacker. I'm already going cloud-based, starting with my intellectual properties (big grammar). Soon, my house address will read - Michael Olafusi, IP 204.21.2.56, Planet Earth. So it's universities and their web addy this time. I made this during my NYSC for a seminar in the community school I was posted. I can't forget one question I was asked by one of the participating students, "What about students that can't afford a University education? We hawk fish and other goods after school to survive. What advice do you have for us?" I thought there was a TV screen between us and I was the one on the reality side while she was in the movie. My brain paused, I had no answer. A colleague helped to answer the question. Hi, so like me, you've installed SMF for your forum and you're looking for a list of available SMF mods you can install. Though I do not recommend you installing every mod in this list, I am attempting to make the ultimate SMF mods list. 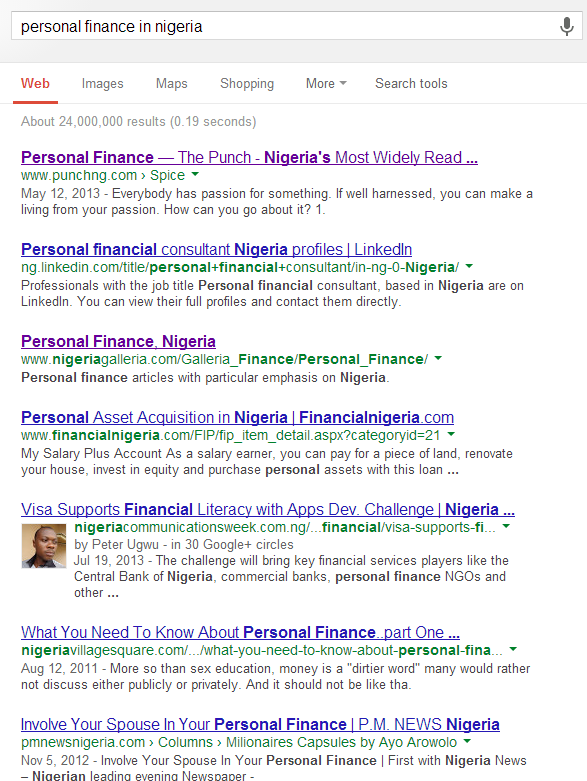 Have you ever tried googling Personal Finance in Nigeria? Nothing very useful or relevant. The seemingly relevant results Involve Your Spouse In Your Personal Finance by PM News and What You Need To Know About Personal Finance by Nigeria Village Square are ramblings. Nothing wholesome. 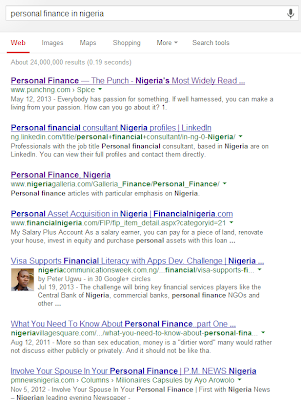 So I decided make the ultimate Personal Finance guide for Nigerians living in Nigeria, like me. Though I nearly always go with Investopedia's definitions, this time around I think Wikipedia is more on point. Personal Finance is the sum total of all financial decisions and activities of an individual (or family) in managing his financial resources, with a view of both the present and the future. It will include budgeting, savings, investment and provision for emergencies. The truth is we all do personal finance, one way or the other. We make money and we spend the money. 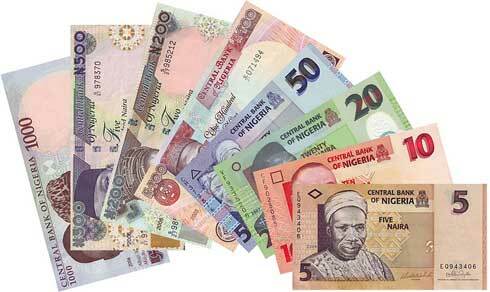 But we are all faced with the challenge of making the most of every Naira we earn. We seek advice from friends, colleagues and strangers. We try everything we consider reasonable. And all we ever get is an improvement, not a solution. But I have found the solution, studied it and practiced it. And in this post, I'll be sharing it with you. The sure way to make your money work for you just as hard as you did for it.